USGBC-Missouri Gateway is committed to recognizing volunteers who have contributed significantly to the Chapter, devoting time and talents “above and beyond” on a particular project or program. 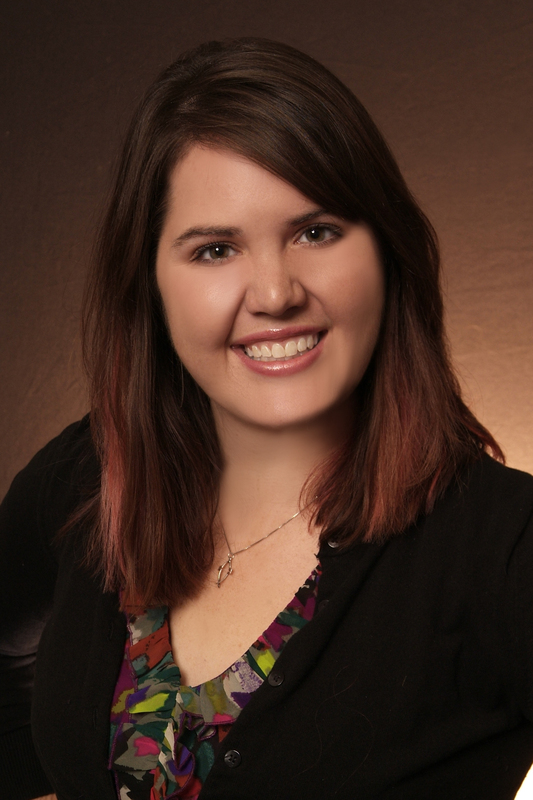 This month we are happy to recognize Chelsea Madden of Design Extra for her dedicated efforts on the Scholarship Working Group! Carolyn Gaidis, chair of the Scholarship Working Group, nominated Chelsea. 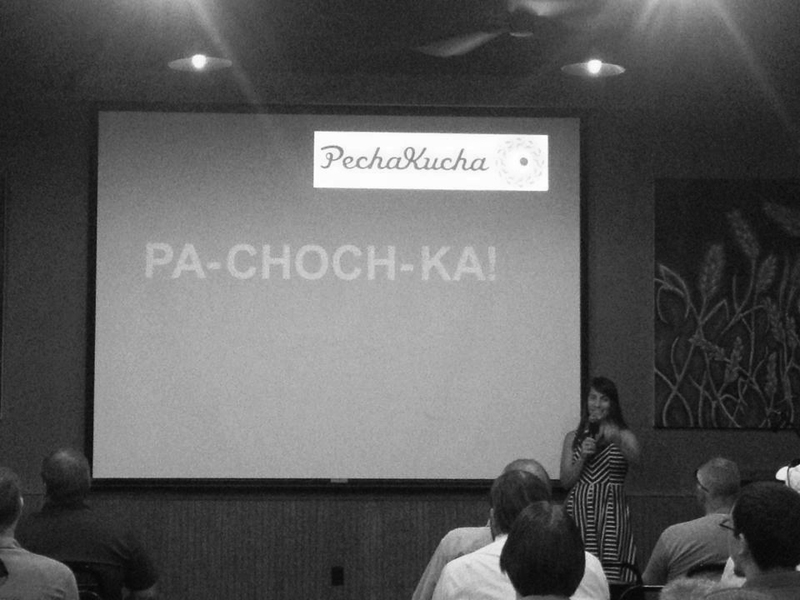 Though she is new to the group, Chelsea jumped right in to assist with the group’s upcoming ECORIDE. In addition to designing the event flyers and coordinating their printing, Chelsea has also been instrumental in organizing the ECORIDE’s walking tour of Soulard (a new feature this year! ), including fostering a relationship with the Soulard Restoration Group to determine the route. Chelsea is always to first to jump in and say “I’ll do it!” In fact, you may also recognize her from her starring role in the Chapter’s Lapsed Member Video! In her nomination, Carolyn said “Chelsea is always cheerful and energetic and I believe she is a great current and future asset to the USGBC-Missouri Gateway Chapter.” We couldn’t agree more- thanks for all your hard work Chelsea! Chapter Board Nominations Now Open! With the start of a new season, it is also time to elect new USGBC-Missouri Gateway Chapter Board Members! USGBC-Missouri Gateway is seeking nominations for three (4) Board Members. Nominations are due by midnight on Monday, October 21, 2013. Elections will be held on-line November 7 – 12, 2013. Please note that in order to vote in the elections, you must be a USGBC-Missouri Gateway Chapter member in good standing on Friday, November 1, 2013. Missed our recent DIY Sustainability event? Check out this great article in the Beacon to hear all about it! The event’s pecha kucha (pronounced, as our mc Mary Ostafi teaches us in the photo above, pa-choch-ka) style presentations were fast paced and allowed us to cover quite a range of topics. Presenters discussed safe cycling, raising poultry, living in an eco-village, the construction of sustainable housing, DIY home energy monitoring, and home brewing beer. Many thanks to our wonderful presenters, to our sponsor Schlafly, and to St. Louis Green and St. Louis Earth Day for partnering with us on the event. Greenbuild 2013 Early Bird Registration Deadline is this Friday! Join the USGBC in the City of Brotherly Love for the largest international green building conference and expo! The 2013 Greenbuild Conference will be held Nov. 20-22 at the Pennsylvania Convention Center in Philadelphia. Hillary Rodham Clinton will provide this year’s Keynote remarks, and Nate Silver, founder of FiveThirtyEight.com and author of The Signal and The Noise will provide this year’s Closing Plenary. In addition, three days of extensive educational programming, workshops, a vast exhibition floor and ample networking events provide unrivaled opportunities to learn about the latest technological innovations, explore new products and exchange ideas with other professionals. If that’s not enough, Bon Jovi will be ringing in Greenbuild 2013 at this year’s Greenbuild Celebration! Early Bird registration ends this Friday- including for building tours! Interested in attending Greenbuild? Early registration ends this Friday, September 13th. Register before and save up to $200! Early bird registration also ends this Friday for the Green Building Tours. Tour packages can be purchased separately- meaning you don’t have to attend Greenbuild to go on these tours. This is a great option if family or friends are traveling with you to Philadelphia. Check out the list of full day and half day tours, and register before Friday to lock-in the early bird rates. Discover the best of the Philadelphia area’s sustainable buildings and neighborhoods! Emerging Professional? You Could Attend Free! Greenbuild volunteers are crucial to the success of the event, and volunteer opportunities are available from November 15th-23rd, 2013. In exchange for their time, volunteers will receive free admission to the conference! This includes access to the opening keynote, exhibit hall, education sessions, Residential Summit, Green Jobs Summit, and lunch (Wed-Thur), conference bag, credentials and the show program. Volunteers are expected to cover their own travel and housing. Volunteers must be full time students (12 credits undergraduate, and nine credit graduate) or professionals age 25 and under, and are asked to work a minimum of eight hours. Interested in volunteering? Visit the Greenbuild volunteer page to learn more and fill out a short survey to be notified when volunteer registration opens! 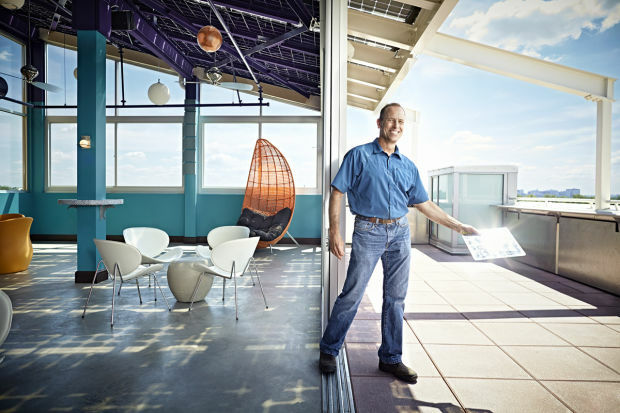 Past Chapter Board Chair Marc Lopata, president and principle at Microgrid Solar, was interviewed about the solar-panel roof covering the New Moon Room of the Moonrise Hotel. “This is the first restaurant, or normally occupied public space, we know of in the country that has an active solar-panel roof” Marc told Feast. 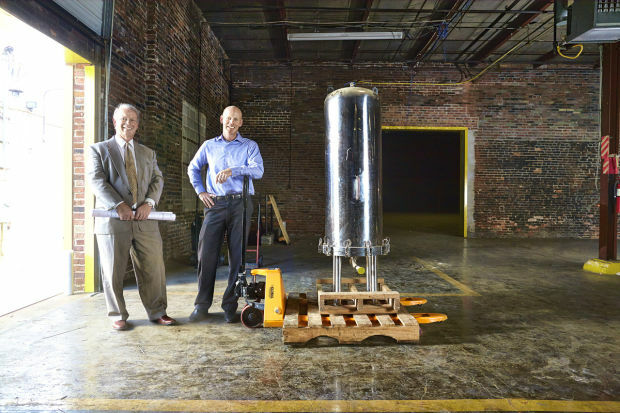 Chapter member Peder Hulse of Green Street St. Louis is featured in a piece about Urban Chestnut Brewing Company’s expansion into the Renard Paper Company building in the Grove. Projected to open in early 2014, Urban Chestnut has partnered with Green Street St. Louis- owner of the building and developer of the project. The article highlights the project’s LEED for Commercial Interiors Certification Checklist, which includes strategies such as reusing a building in a densely populated area, installing low flow water fixtures and energy efficient lights and appliances, diverting construction waste, installing solar, and utilizing low-VOC paints, sealants and coatings. 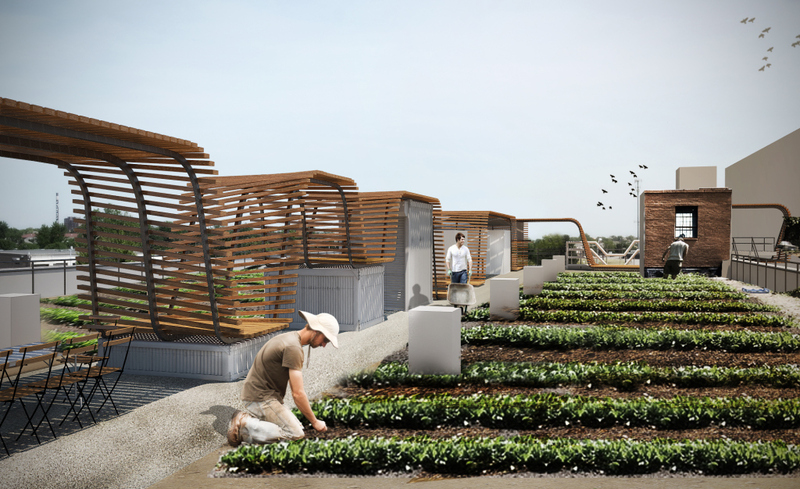 The article also mentions the Urban Harvest STL’s FOOD ROOF project. Mary Ostafi of HOK, an active Chapter member and founding director of Urban Harvest STL is interviewed about Downtown’s new community garden. “Locating a farm on a rooftop on a rooftop has many environmental benefits such as building energy load reduction, heat island mitigation, storm water management, and enhanced biodiversity in the City. The FOOD ROOF will be a fully functioning urban farm,” Mary told Feast. Thanks to Feast for the great write up and congratulations to all the Chapter members featured in this article. Make sure to check out the September issue of Feast to read the full story! Member in the News- Jean Ponzi on GreenBiz.com! Congratulations to Jean Ponzi, Green Resources Manager for the EarthWays Center of the Missouri Botanical Garden and USGBC-Missouri Gateway Chapter Member, for her recent article on Greenbiz.com! The article “Green Chamber of Commerce Program Helps St. Louis Pick up the Pace” highlights the successes of the St. Louis Regional Chamber’s Green Business Challenge. Jean is in an excellent position to understand the Green Business Challenge; in her role as a Challenge Resource Advisor, Jean visits participants at their workplace, provides problem solving support by email and phone, and assists participants prioritize the green actions best suited to their needs and culture. Congratulations, Jean on your article, and thank you for your hard work to advance sustainability in our region!